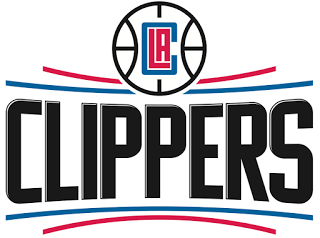 The L.A. Clippers tip-off the 2016-17 NBA regular season, presented by Agua Caliente Casino Resorts, on Oct. 27 at Moda Center against the Portland Trail Blazers at 7:30 P.M. PT on TNT. On Oct. 30 the Clippers host the Utah Jazz in their home opener at STAPLES Center, tipping off at 1:30 P.M. PT and then remain at home to face the Phoenix Suns Halloween night at 7:30 p.m. PT. Because of increased demand, single game tickets will go on sale to the general public on August 12 at 12:00 p.m. PT. Availability is limited to 1,000 tickets or less per game. To purchase tickets for Clippers home games, fans can visit clippers.com, axs.com or call 888-9-AXS-TIX (888-929-7849). Games versus the Golden State Warriors and Cleveland Cavaliers are currently only available in Full Season, Half Season and select Partial Plans. Fans can purchase these plans by calling (213) 204-2900 or by visiting clippers.com/partialplans. The Clippers play five of their first eight games at STAPLES Center. Early season STAPLES Center highlights include a game against Russell Westbrook and the Oklahoma City Thunder on Nov. 2 and another Western Conference Playoffs re-match against Damian Lillard and the Trail Blazers on Nov. 9. The Clippers’ 34 nationally televised games is the highest number in franchise history, with the Clippers scheduled to appear five times on ABC, 10 times on TNT, 10 times on ESPN and nine times on NBA TV. Over the last five seasons, the Clippers have appeared in at least 29 nationally televised games each season. Other notable games on the schedule include a matchup with the Lakers on Christmas Night and the lone visit of the season from LeBron James and the NBA Champion Cleveland Cavaliers on March 18. The Western Conference Champion Golden State Warriors visit Los Angeles Dec. 7 and Feb. 2. This season, the Clippers play 18 sets of back-to-back games and have three road trips of five games or more, including a six-game road swing (Nov. 23-Dec. 2). The longest home stretch for the team is five games from Jan. 8-Jan. 19. The Clippers face every team in the Western Conference a total of four times (two home and two away), with the exception of the New Orleans Pelicans, Minnesota Timberwolves, Portland Trail Blazers and Houston Rockets, who they play three times each. The Clippers tip-off their six-game preseason slate at Oracle Arena Oct. 4 against the Golden State Warriors, followed by a three-game home stand at STAPLES Center with contests against the Toronto Raptors, Utah Jazz and Portland Trail Blazers. The Clippers finish out the preseason on the road versus the Jazz Oct. 17 and a visit to the Golden 1 Center for a matchup against the Sacramento Kings Oct. 18. Fans can visit www.clippers.com, www.axs.com or call 888-9-AXS-TIX (888-929-7849) to purchase tickets for any Clippers home games. Due to high ticket demand, fans may only purchase a maximum of six (6) tickets to each home game. The best way to guarantee your seat to the biggest games is to purchase Full, Half or Partial Plans by visiting www.clippers.com or by calling (213) 204-2900. Groups of 12 or more should visitwww.clippers.com/groups to contact a Clippers Group Events Specialist.